TRG's courses are for anyone involved in the rulemaking process. These courses provide practical real world explanations of how the regulatory process functions. TRG's courses are essential (required for many Federal agency staff) training for agency personnel responsible for drafting, implementing and interpreting rules. 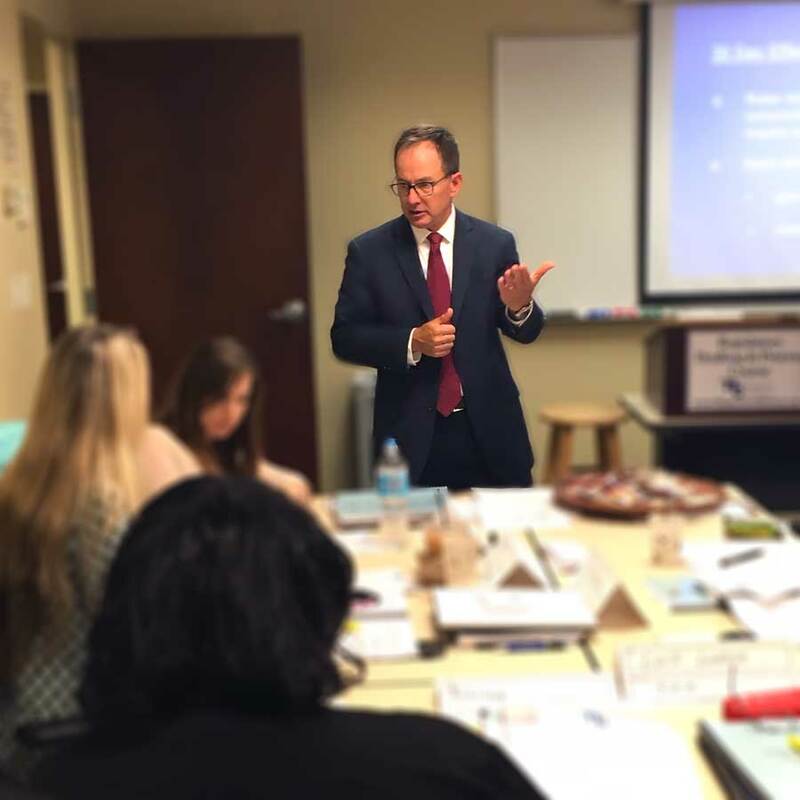 TRG's courses are invaluable for non-government organization personnel responsible for commenting on proposed rules, interacting with regulatory agency staff and navigating the regulatory process. Most TRG courses are open to the general public and these are listed below. Every month TRG schedules courses in the DC area, and occasionally around the country. You can see the course schedule by clicking the links below. TRG's courses can be held on-site at your agency or organization. In addition, TRG can tailor courses to the specific needs of your agency or organization. For more information about on-site training, click here. Federal agencies can purchase most courses through TRG’s GSA schedule contract. To discuss TRG’s courses please call us at (703) 224-9000 or send us a message here. Call us to discuss discounts for group registrations. To read what clients say about our courses, click here. For information about Continuing Legal Education Credit (CLE), click here. This two-day course is a must for anyone who writes, reviews, implements or interprets regulations. You will learn the fundamental legal and procedural requirements for rulemaking and how to write regulations that communicate clearly to the public. This two-day course is for anyone who attended the Regulatory Drafting & Process course or has extensive experience with the regulatory process. This course uses real world exercises to provide you with the tools for improved problem solving and regulation writing skills. This one-day course is designed for anyone who must comply with the Paperwork Reduction Act (PRA). This course explains the underlying principles of the PRA and the steps to complete information collection requests in compliance with the Office of Management and Budget requirements. This one-day course is designed to help anyone understand and navigate the legal and procedural issues related to agency guidance. Agencies issue guidance, in the form of interpretations, policy statements, manuals, letters, and emails, to supplement or explain regulations and statutes. This one-day course surveys the major court decisions impacting Federal agency rulemaking from the passage of the APA to the present. This one-day course addresses the essential elements of writing clear and concise government documents, whether they are regulations or guidance. This two to three hour, on-site seminar teaches senior agency executives the nuts and bolts of the rulemaking process. Agency executives are in the best position to affect policymaking decisions. This seminar provides executives the working knowledge of the rulemaking process they need to fulfill their role. This two to three hour, on-site seminar is a refresher on the rulemaking process. This seminar provides a review of the fundamental elements of administrative law, the current trends in agency rulemaking, the relevant Executive Orders, and most recent Office of Management and Budget guidance impacting rulemaking. Paperwork Reduction Act Compliance May 2, 2019 Washington, DC 23 seats still available! Regulatory Drafting & Process May 6 - 7, 2019 Burlington, MA 10 seats still available! Paperwork Reduction Act Compliance May 9, 2019 Burlington, MA 5 seats still available! Regulatory Drafting & Process May 14 - 15, 2019 Washington, DC 3 seats still available! Advanced Regulation Drafting May 16 - 17, 2019 Washington, DC 18 seats still available! Register to be put on waiting list. Regulatory Drafting & Process Jun 17 - 18, 2019 Washington, DC 25 seats still available! Agency Guidance Jun 25, 2019 Arlington (Rosslyn Metro), VA 20 seats still available! Plain Writing Jun 26, 2019 Arlington (Rosslyn Metro), VA 20 seats still available! Regulatory Drafting & Process Jun 27 - 28, 2019 Baltimore- SSA, MD 10 seats still available! Regulatory Drafting & Process Jul 16 - 17, 2019 Arlington (Rosslyn Metro), VA 15 seats still available! Advanced Regulation Drafting Jul 18 - 19, 2019 Arlington (Rosslyn Metro), VA 20 seats still available! Paperwork Reduction Act Compliance Jul 22, 2019 Arlington (Rosslyn Metro), VA 20 seats still available! Federal Administrative Process: Judicial Review Jul 23, 2019 Arlington (Rosslyn Metro), VA 18 seats still available! Advanced Regulation Drafting Aug 15 - 16, 2019 Baltimore, MD 12 seats still available! Regulatory Drafting & Process Aug 27 - 28, 2019 Alexandria, VA 30 seats still available!